Suz' Sugar Gliders was created in March, 2003 to assist glider owners in researching proper care, health information and breeding information so that they wouldn't make the same mistakes I did when I first got gliders. 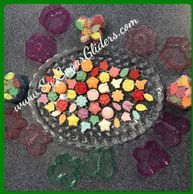 I am also dedicated to supplying glider owners with top quality, glider-safe products including rejected joey supplies, Happy Flapper Pouches, Pouch Pocket Hoodies, Happy Glider foraging toys, etc. I have personally owned gliders since July, 1998. There have been many ups and downs over the years, but I continue to learn more and more about these fascinating animals. I hope you will find my site helpful and informative. All of my gliders are my treasured pets. I spend many hours each day with them; consequently, they are all very tame. Although I was formerly a USDA Licensed Breeder, I am no longer breeding gliders. I NO LONGER BREED SUGAR GLIDERS, PLEASE DO NOT CONTACT ME ABOUT PRICING OR AVAILABILITY OF GLIDERS. This was a difficult decision for me to make, but since I am not breeding gliders, if you send an inquiry about price and availability, you will not receive a reply. There are many good breeders out there - many of whom can be found on Facebook, including Shauna Sidnam, LeAnne Deel, Louise Ferrari, Jeremiah Witt and many more. If you are considering a Sugar Glider for a pet and have not owned one previously, please thoroughly read through the other pages on my site, beginning with Sugar Gliders As A Pet and proceeding from there. 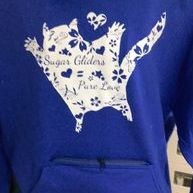 Another excellent resource for your research is The Glider Initiative - a 501(c)3 non-profit organization dedicated to sugar glider education and outreach. 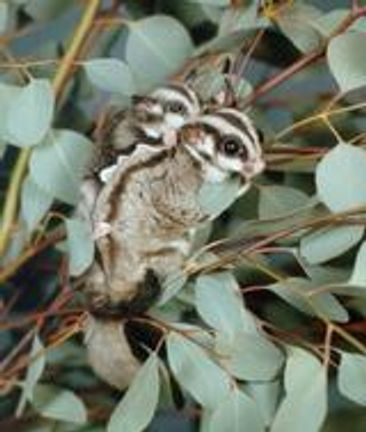 There are several web forums which can be helpful in researching Sugar Gliders. One of the best is: The Sweet Spot (TSS). Easy payment options are available through PayPal. I am able to collect credit card payments. If you would like to pay that way, please send me an e-mail at SugarGliderSuz@yahoo.com and I can send you an invoice. I will also accept Money Orders or personal checks - orders will not be shipped until payment has cleared the bank. Most orders do ship within 24 hours unless otherwise noted in the item description. (Note that any item that is custom-made may take several weeks to complete - see individual time frames on pages about specific products.) Most orders are shipped via USPS Priority Mail so that you can be provided with a tracking number for your package; some smaller items are shipped via First Class Mail.